You guys remember the HP LaserJet 5MP I found locally? It has under 5,000 lifetime pages printed. Unbelievable. 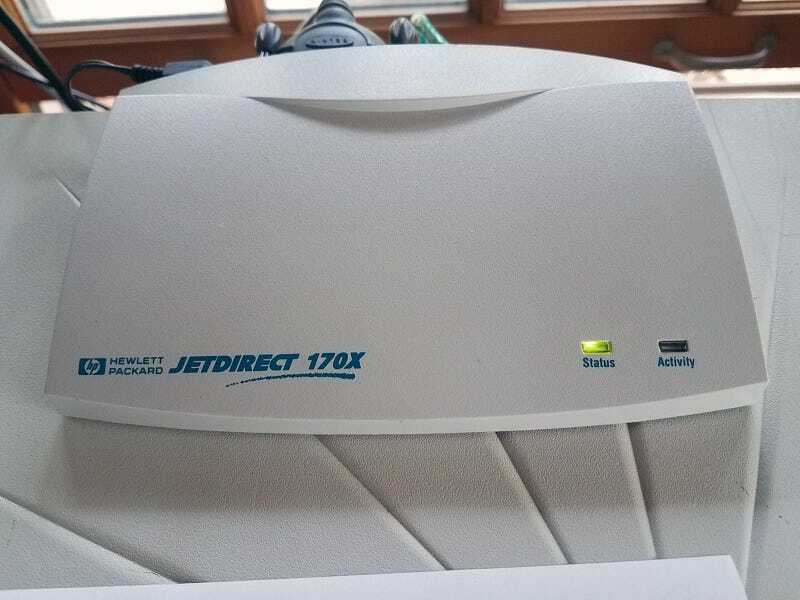 Got an HP JetDirect 170X for it. It’s a print server so now I can network the printer and use it on any computer or laptop in the house. Nice to finally use it on modern machines. Amazing that a printer from 1995 still works on modern Windows.